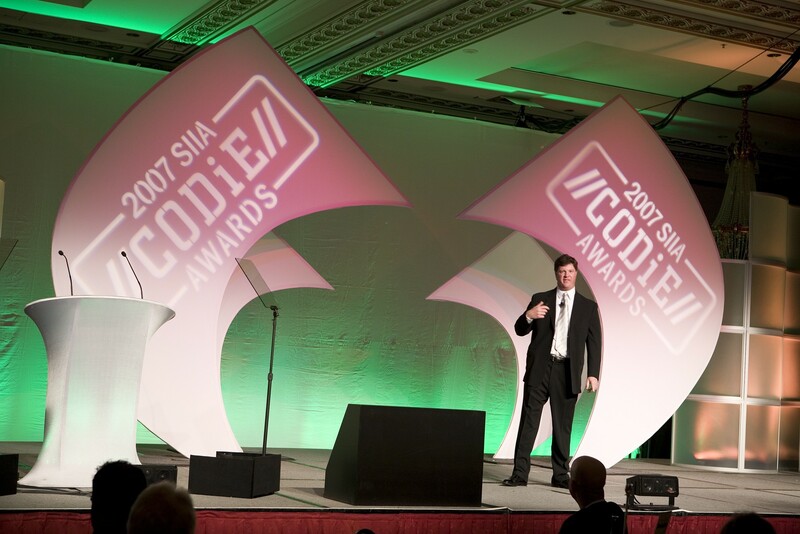 Because every corporate event needs laughter. Even if your client isn't funny! Greg Schwem tells all his clients, "I'm here to make you laugh but, at the end of the day, I want to be your biggest cheerleader too!" That approach is why the Chicago Tribune recently proclaimed Greg Schwem "king of the hill in the growing world of corporate comedy." 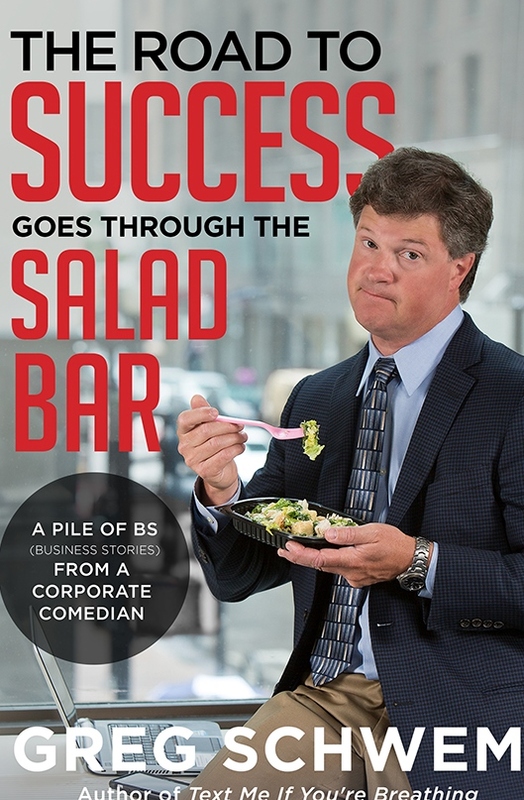 His humorous take on the 21st century workplace and work/life balance has landed him on SIRIUS Radio, FOX News and the pages of Parade Magazine. More than just a business humorist, Greg is also an author, award winning greeting card writer and nationally syndicated humor columnist for Tribune Content Agency. But Greg is first and foremost a corporate entertainer, with a who's who client list that includes McDonald's, Microsoft, Motorola, IBM, Verizon Wireless, United Airlines and Cisco Systems. A heavily researched and customized presentation featuring material created with the help of Greg's client. Greg doesn't "phone it in." Customized multimedia support that includes video, audio and screen grabs from a client's website. A motivational message that uses humor and real world examples from actual companies that show the "do's and dont's" of succeeding in business. Let Greg tell your audience about his experiences with the highly successful American Girl Doll company! 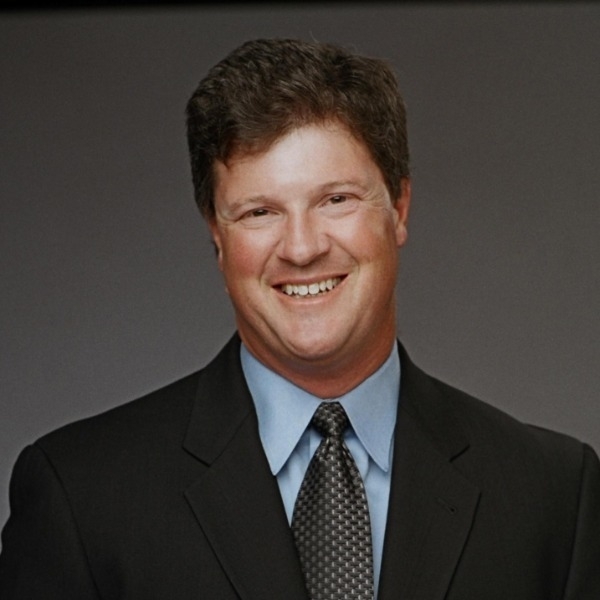 Greg's show provides a hilarious look at today's corporate environment and the latest tools used to conduct business. When Greg hits the stage he already has perused the company's Internet site, combed the internal message boards and even sifted through numerous PowerPoint presentations. "There is no such thing as too much information," Greg says. "I know corporate audiences like to laugh at themselves so the more ammunition I get, the funnier it will be. Just don't give me a 10-K report. There is NOTHING funny about that." For Citrix Systems: I just looked at your breakout list. You've scheduled'Advanced Dial Plan Design' AND 'Troubleshooting Cisco Unified Call Manager and Call Manager Express' in the same day? Ladies and gentlemen, spread the FUN out! For the Society of Actuaries: You use something called "Generally Accepted Accounting Principles." Generally accepted? Does that mean you can fudge once in awhile? Try giving your kids a generally accepted curfew of midnight and see what time they come home! Besides customized material, Schwem entertains audiences with stories about tedious business meetings, Smart Phone addiction, "frequently" asked questions and his hilarious conversations with his insurance agent regarding health coverage. 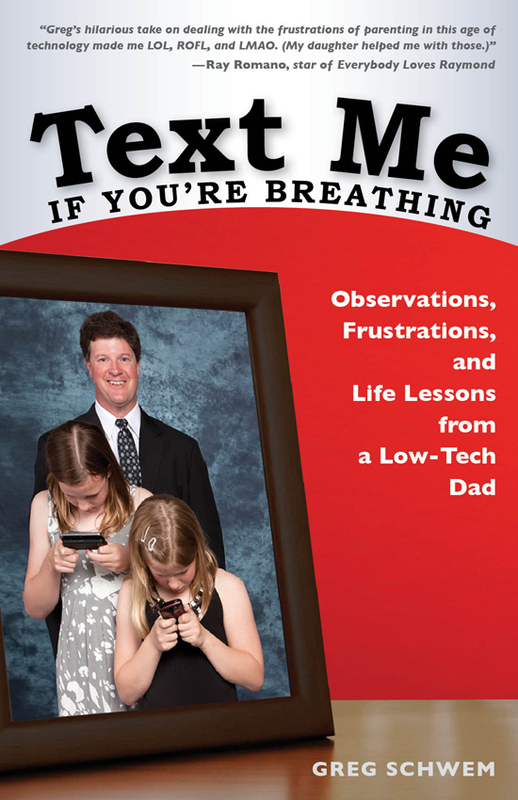 Greg is the author of two Amazon best sellers: The Road to Success Goes through the Salad Bar and Text Me If You're Breathing: Observations, Frustrations and Life Lessons from a Low-Tech Dad. Greg also is the creator of the web series, A Comedian Crashes Your Pad..., now streaming on YouTube.